How do I use the Canvas Parent app on my Android device? 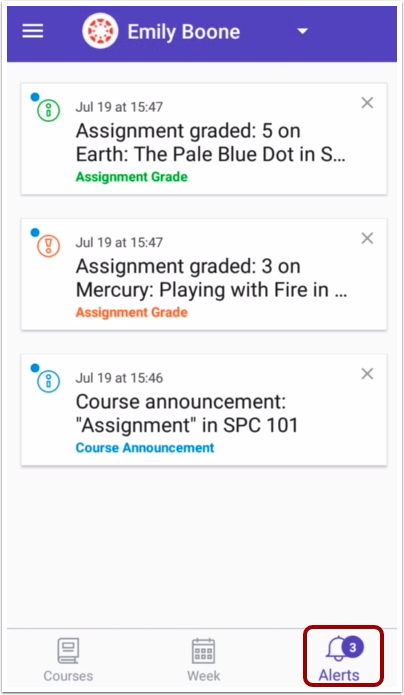 The Canvas Parent app lets you view a student’s course events, upcoming assignments, and grades. You can also add and view multiple students in your account. The Canvas Parent app uses your device's settings to set the time zone used within the app. Except when creating an account, you cannot add observed students in the Parent app. You cannot remove observed students in the Parent app. 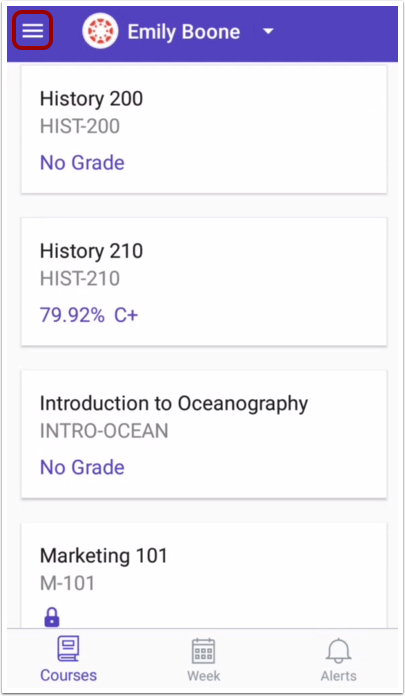 In the Canvas Parent app, you can view the User Menu , select a student , and view the student's courses , the student's weekly calendar , and alerts about the student's course participation . 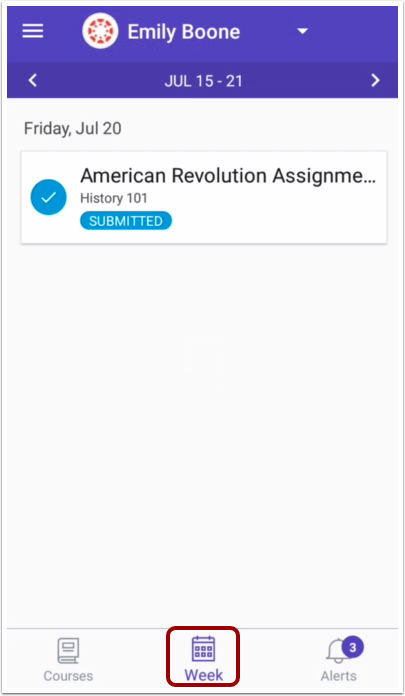 Your added student's name and profile picture display in the Parent app. 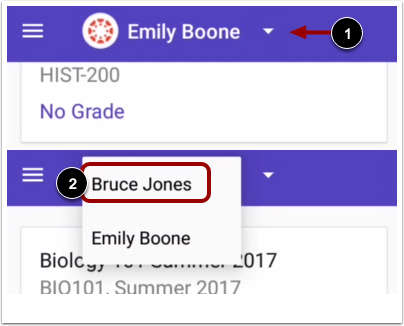 If you have multiple students associated with your account, you can view another student by tapping the Student drop-down menu , then tapping the name of the student . Note: Student profile pictures only display if the student's institution allows students to upload profile pictures. 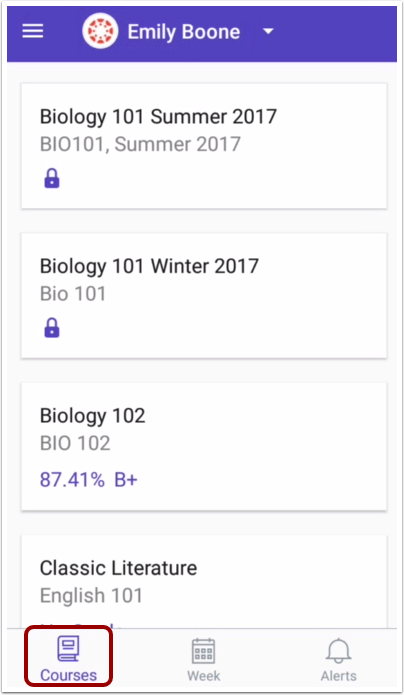 The Parent app defaults to the Courses page and displays the list of courses for the student you are viewing. Learn how to view courses. The Week page displays a calendar of assignments and events for a given week. Learn how to view the calendar. 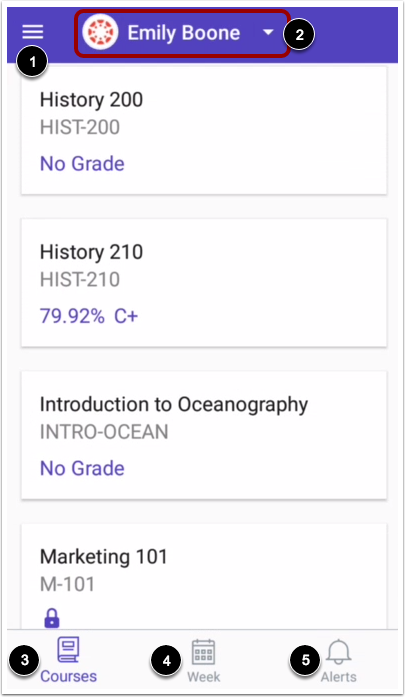 The Alerts page displays grade and assignment alerts. Learn how to view alerts. 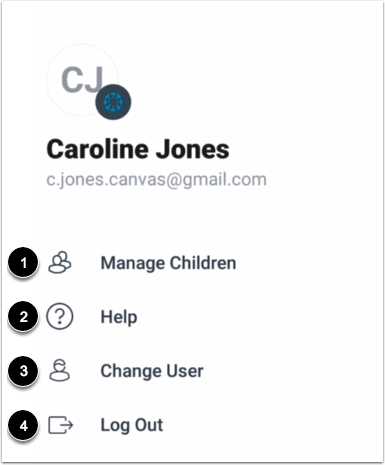 Previous Topic:How do I create an account in the Canvas Parent app on my Android device? Next Topic:How do I view courses for a student in the Canvas Parent app on my Android device? Table of Contents > Observers > How do I use the Canvas Parent app on my Android device?